Stir in cooked rice, broccoli, soup, seasonings, and half and half. 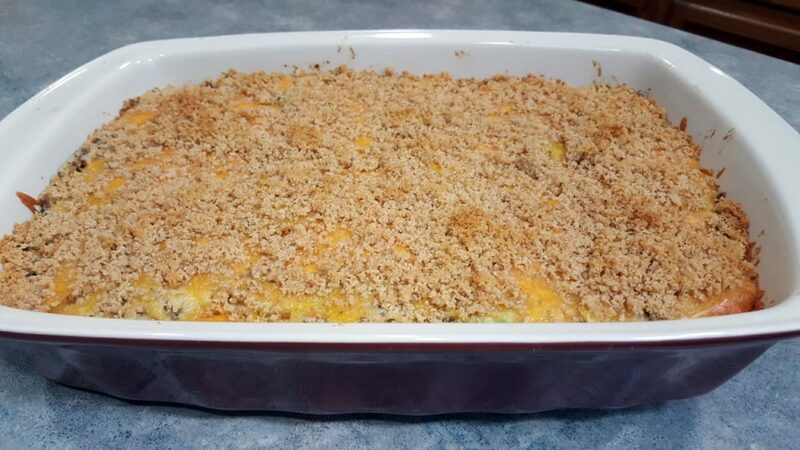 Add to a 13 x 9-inch baking dish and top with cheese. In a small bowl, combine butter and breadcrumbs. Sprinkle bread crumb mixture over casserole.